Picture it: it is a cold, winter day, and you can’t wait to get home and plop down in front of the fireplace. Until said as expected fireplace doesn’t work, that is.So what do you do? There should be at least 100 reasons why your fireplace might not function correctly. The following is a very simplified list of the common reasons your fireplaces is not functioning: Your damper’s closed. It may not be your memory error — soot buildup or water damage behind them on the smoke shelf could be forcing it shut. If this is the situation, consult with a professional chimney sweep for a good, strong cleaning. 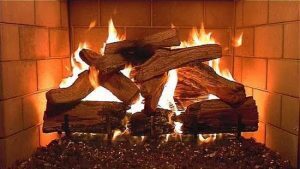 Fireplaces work because of the heat inside the chimney, so if your wood is not dry and well-seasoned, it makes more smoke than heat — and there simply might not be adequate heat for your chimney to operate properly. Your chimney is dirty. The gradual accumulation of soot can seriously alter the way that your chimney performs. Thick layers of soot can restrict the flue so there is no more region but as little as a quarter-inch of buildup can make more difference than you might think. Therefore sweeps frequently find chimneys packed filled with leaves, twigs and baby animals — Birds and animals might eye your chimney as a comfy home. Does this explain your situation? If that’s the case, consult with a professional chimney sweep for a good, strong cleaning. Your chimney is too short. To function properly, the chimney should be at least 10 or 12 feet in total height. Where it projects over the roof, the chimney should be at least 3 feet tall, and at least two feet higher than anything within 10 feet of it (such as other trees and buildings). If your chimney is too short, you can usually capture your chimney smoking — when the wind blows and the issue is worse. Many variables that can affect your flue dimensions, including overall chimney height, how hot the flue stays and neck configuration — but the basic rule of thumb here is that the region of the fireplace opening could be no more than 10 times the area of the flue (12 times for around flues). A flue just can not deal with the volume of smoke produced, and some of it will spill back in the room. Unfortunately, there’s no method to earn the size bigger, so the solution is to make the room appearing smaller with any masonry work that is creative or alloy smoke guards. Still have chimney issues? Remember: A true comprehension of fireplaces demands an understanding of pressure differentials, air flow patterns and real fireplace construction techniques. Consider hiring an experienced, certified chimney sweep, in case the information provided this doesn’t help you solve the problem with your fireplace. To locate a CSIA Certified Chimney Sweep ® In your area, try our handy locator tool.